CSmith Run: My Current Half Marathon "Plan"
My Current Half Marathon "Plan"
I can't really do a running recap of last week because I only ran one day - 6.2 miles on Tuesday. There are 8 weeks until the Phoenix Half Marathon so I'm not overly concerned, but I know that now is the time to get going. I made up a plan for myself, but we all know how I am terrible at actually following plans, so I came up with a new idea. It won't matter what day I get these workouts in, as long as I get them in. Actually, it's not that new of an idea because I kind of did that during Chicago Marathon training too, doing long runs during the week after work and doing two 20 miles runs within 6 days of each other, and doing more speed workouts whenever Mac was available. This would give me at least 30 miles a week, hopefully closer to 40. I have a few good speed/tempo workout options I found that are geared more specifically to training for a half marathon. I'll plan to share those with you this week. I never really know how I'll be feeling each day on the treadmill so if one day I'm feeling awesome, I'll just go with it and do a tempo run or higher mileage. And on another day if I feel like crap/am super unmotivated, I will first try to put on my very best pump-up songs, but if that doesn't work, I'll just have it be a normal day. I'll just need to hope that I'm feeling great 2 days a week...or that we have a really mild winter so I can go outside. The holidays are a busy time with lots of parties and events on weekends and other nights during the week, so I'll just fit in runs when I can. And that means I need to get started on reading the book! And it's perfect timing since I finished Caught this weekend. 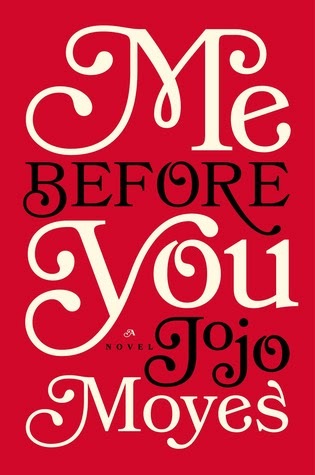 The book for this month is Me Before You by Jojo Moyes. Katie said she just finished it and really liked it. Then, as I was doing some blog reading this morning, I saw that Meghann from Meals and Miles and her book club read it this past month and she also liked it a lot. I suppose this will be the perfect week to start a new book while I have a few days off work! I just started actively using the Goodreads website and app because I want to start reading a lot more. It's a lot of fun to see what books my friends have read and what they want to read and to keep track of my own books. 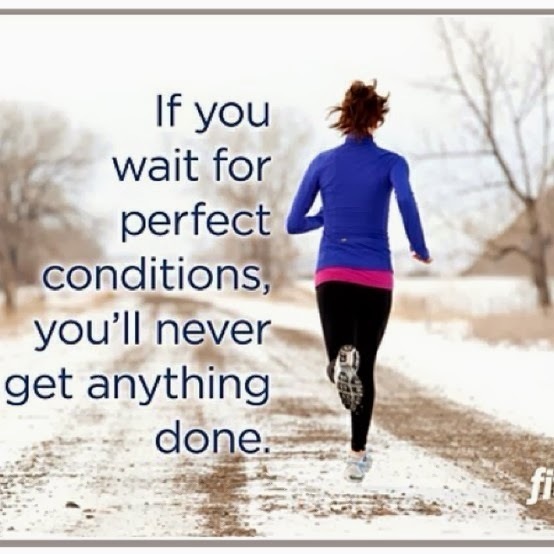 This week shouldn't be too hard to get my runs in. I'll be running with my friend Dave tomorrow evening after work, the Edison Park Turkey Trot 5k with Catherine on Thanksgiving, and the Schaumburg Half Marathon Turkey Trot on Saturday. Then I'll just have to fill in a few other runs and I'll be good to go! Easier said than done of course though. I hope to come back to you tomorrow with a great run to talk about...or any run to talk about at this point, doesn't even have to be great. Do you have a turkey trot on the schedule this week? What is your favorite Starbucks drink? I go with the white chocolate mocha usually, but right now it's all about the Gingerbread Lattes. I know I said in my "No Spend November" post that I was going to try to cut out the Starbucks, but really that is just for during the workweek when I can easily get free coffee at work. I like when I get tagged in your blog posts.